2018 was just the beginning for gun grabbers attempts to pass gun control in Idaho. Their efforts were defeated this year, but they’ll be back. In fact, we now have confirmation that they will try again next year and we’ll need your help to stop them — more on that in a second. With the November elections right around the corner, gun grabbers across the country are continuing to push their unconstitutional schemes. Universal Background Checks, “assault weapons” bans, and “red flag” laws are just a few of the gun grabbing proposals being shoved down our throats. Previous election cycles have proven detrimental to gun grabbers who push these laws. Hillary Clinton and many other candidates have run on gun control platforms before, and they have been decimated at the ballot box. Gun owners aren’t putting up with their propaganda. Will 2018 be any different? In Idaho we know that gun owners tossed out Chairman Tom Loertscher, who notoriously prevented pro-gun legislation from even being heard in committee. Loertscher was a 30-year incumbent, and Chairman of the powerful House State Affairs Committee. Gun owners sent him packing in the May 15th primary! And he wasn’t the only one either. Rep. Julie VanOrden, who chaired the House Education Committee, made some very disturbing comments about gun rights at a candidate forum several months ago. She was removed from office by a motivated and mobilized group of gun owners in her District. We also saw pro-gun champion, Rep. Christy Zito, crush her challenger by nearly 30 percent! The establishment did everything they could do take Rep. Zito out, but gun owners had other plans! Has the message been received by Idaho’s legislators? 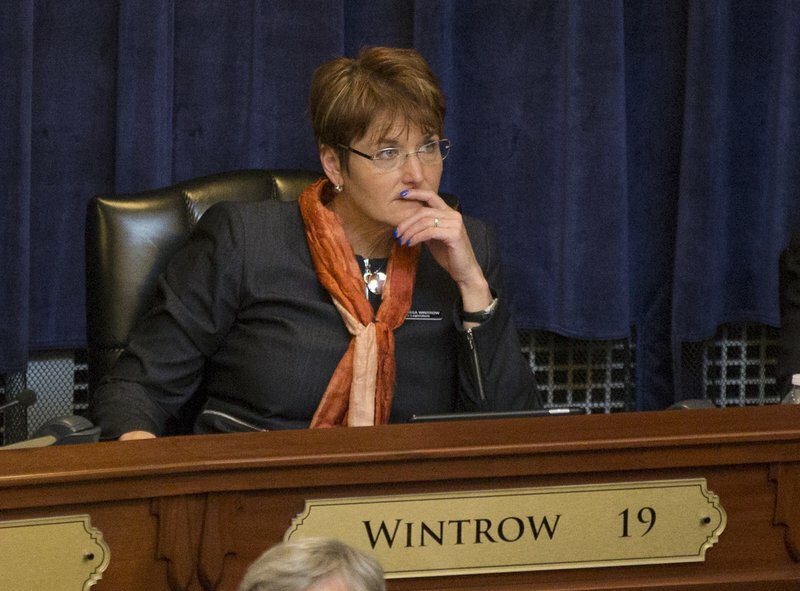 Rep. Melissa Wintrow (Democrat-District 19) who proposed a gun control bill in 2018, has announced her intention to propose similar legislation in 2019. Remember that the bill voted on this year had 31 Representatives who supported it, and they were just five votes away from passing it. With only 11 Democrats in the House, that means that 20 Republicans also fell in line with her gun control bill. Rep. Wintrow’s bill, House Bill 585, was a proposal to ban ownership of firearms for a misdemeanor domestic violence conviction. Not a felony, a misdemeanor! Something as simple as grabbing someone’s arm could land you with a misdemeanor conviction. In some states if you spank your child too hard you can be charged with a domestic violence misdemeanor. And Federal law already prohibits these individuals from owning or possessing firearms. So if a law already exists, which these individuals are already ignoring, why are we trying to create yet another law that they won’t follow? But that’s not the real danger of Rep. Wintrow’s bill. You see, the real danger is that her bill, if passed into law, will ultimately lead to “red flag” laws. In short, a family member, friend, or another close associate can call the police and tell them you are a danger to yourself or others. The police then go to a judge and tell him you are dangerous. The judge then reviews evidence submitted to him that you are dangerous, and tells the police to seize your firearms. You are NEVER part of these proceedings! But red flag laws, more appropriately termed gun confiscation orders, are more difficult to pass without first having a state level crime in place for domestic misdemeanor convictions. And that’s exactly what Rep. Wintrow’s bill does. While this topic is certainly tough to deal with, and a very emotional topic at that, we can’t let emotions override the Constitution or dictate policy. The question is, was the primary election defeats by the establishment enough to send a strong enough message? So why not send another message in November? We have just five months to mobilize gun owners. In the next few months we will be focusing on state legislative races to see which Districts we can educate the most gun owners in. With so much on the line in defeating gun control once again in 2019, we must stay focused on exposing gun grabbers in our legislature. From Lewiston to Boise to Pocatello, there are gun grabbers trying to change our laws. And that’s why we need your continued support! >>> First, please help us increase our presence on social media! If you are already following our Facebook page, then please make sure to invite all your friends to follow us as well! >>> Second, be sure to forward this email to as many contacts as you can so they can be informed about the impending gun control battle we will face. >>> Finally, join up with the ISAA today! We have memberships from Bronze ($35) to Lifetime ($500) and several others in-between. No matter which level you choose, it all helps us in our efforts to protect the 2nd Amendment in Idaho. I wish I could say Idaho is a safe haven from the insanity we are seeing in Oregon and Washington, but it’s not. The progressives are moving to Idaho in droves and if you and I don’t stand up to their efforts to destroy our way of life, then we can’t complain when they do it. Stand up and fight back, the time is now! P.S. Gun grabbers in Boise have made it clear that they intend to push gun control in the capitol once again in 2019. After gun owners defeated their efforts earlier this year, the message apparently wasn’t clear enough that Idahoans don’t want Bloomberg style policies here. That’s why this November’s elections are so important. So please help us prepare for election day by following us on Facebook and forwarding this email to all of your pro-gun contacts. Finally, be sure to become a member of the ISAA today! If you are already a member, then please recruit new members for us! Time is running out for us to mobilize gun owners across the state and we need your help.